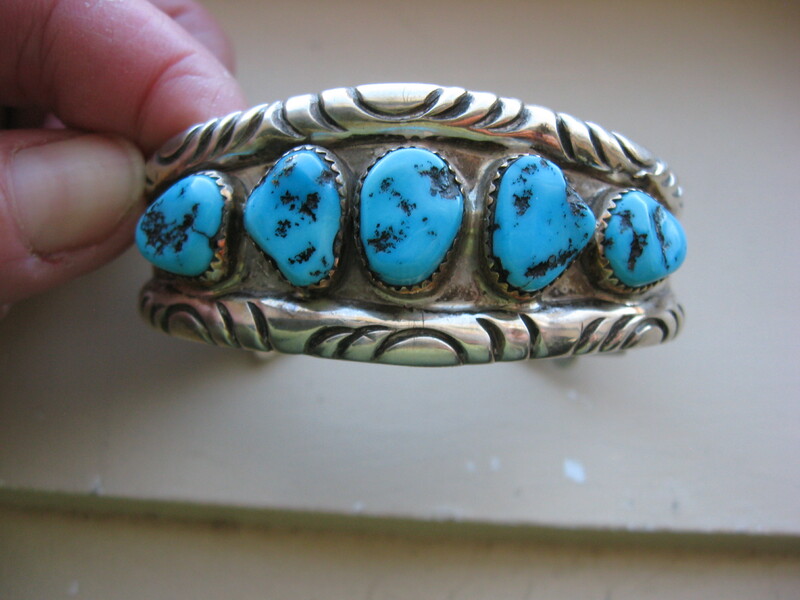 Hello Paula, I have a sterling and turquoise cuff bracelet I purchased many years ago from an “Indian” store in cedar city, Utah. If I remember right it cost somewhere around $400. Any info or input you may have would be greatly appreciated. 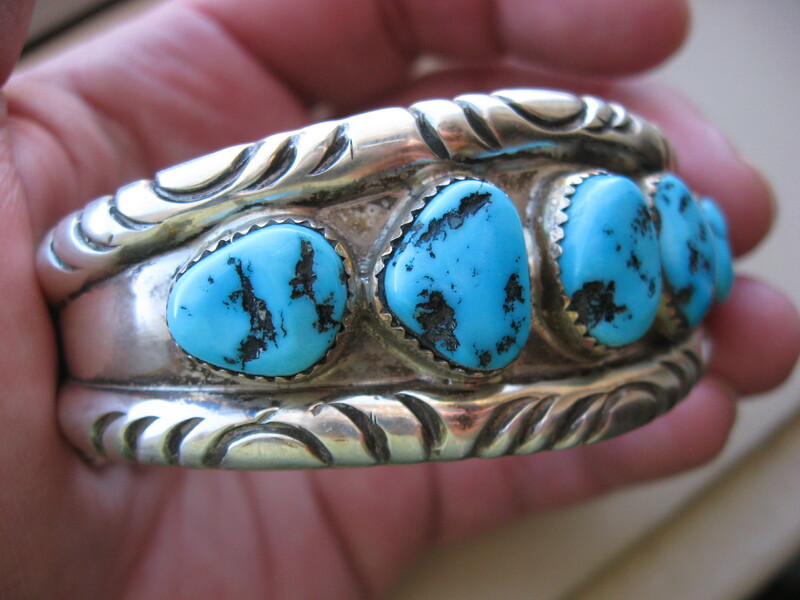 You have a beautiful classic Navajo style row bracelet. 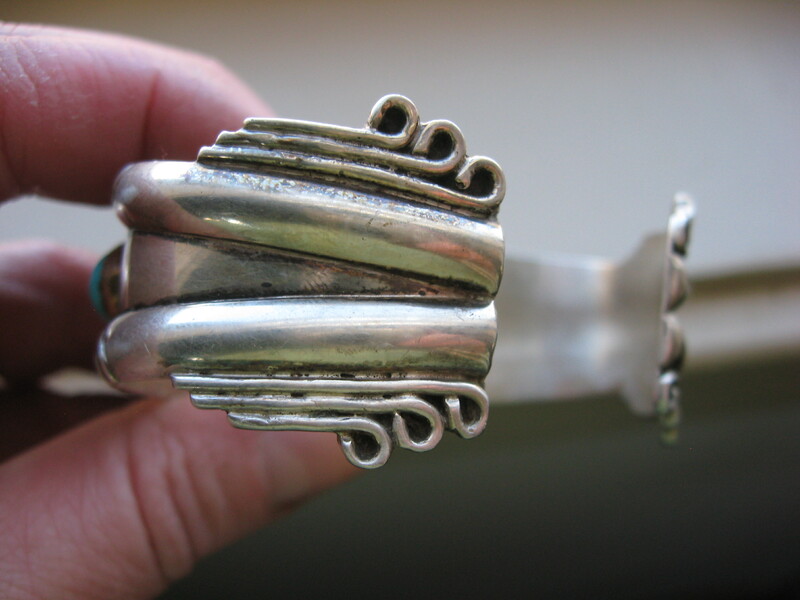 What is not typical, however, is the scroll work at the ends. As far as the hallmark, I do not know. 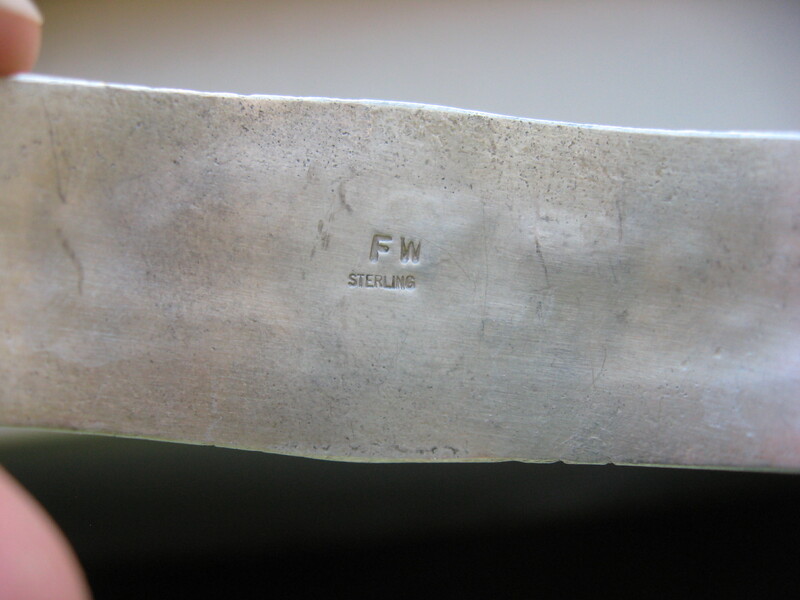 I have attributions to a FW hallmark where the F is stacked on top of the W. And a hallmark with periods after each initial, but none just like yours.